Quantcast can provide an interesting insight into your site’s demographics, such as the gender of your users, how much your users tend to earn, the age range of your audience and so on. This information can be useful when developing content of greatest interest to your audience and for targeting new user groups. 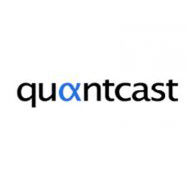 We hope you found this introduction to Quantcast handy and we invite you to learn more about how to track your site’s statistics by subscribing to our free feed!